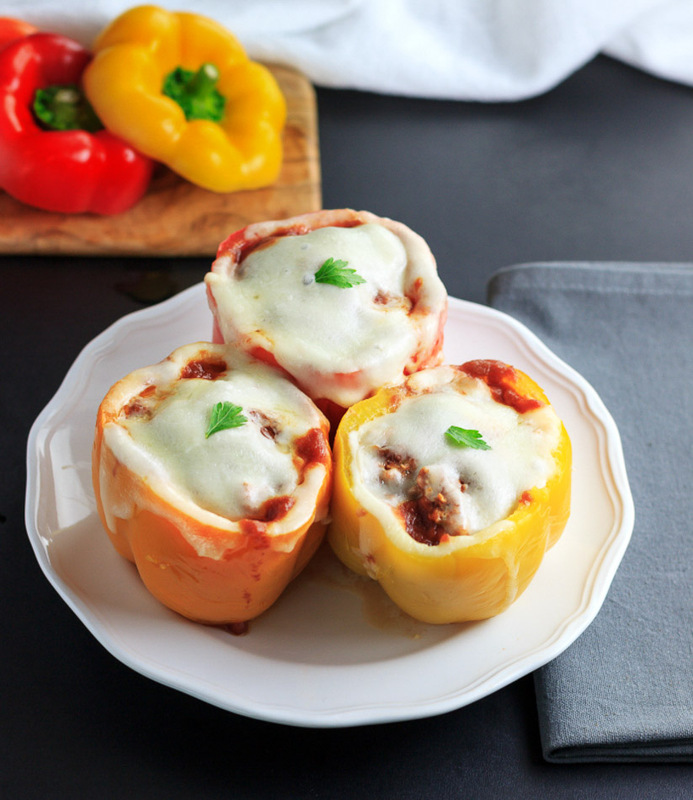 Keto Instant Pot Italian Stuffed Peppers are a filling, satisfying, savory, Italian inspired, low carb, gluten-free dish. Warm and smokey bell peppers filled with seasoned ground Italian sausage and spices topped with tomato sauce and bubbling melted cheese. This flavorful, low carb meal is easy to make in the Instant Pot®. 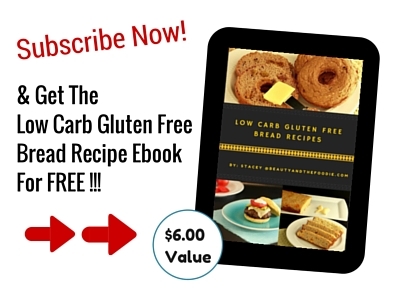 This low carb, gluten free, keto meal was very quick and simple to make in the Instant Pot. I used Johnsonville® all natural, gluten free, low carb ground mild Italian sausage, but you can also use the hot ground Italian sausage as well for an extra kick of spice. My hubby is a big baby about spicy food, so I had to make this on the mild side, lol. I also used the red and yellow bell peppers instead of the green peppers, but of course, the green can also be used. It is just that my kids don’t like the green bell peppers very much. These stuffed peppers are free of grains, rice, and bread crumbs that were in the traditional classic American version of stuffed peppers that my mom made in the ’70s. 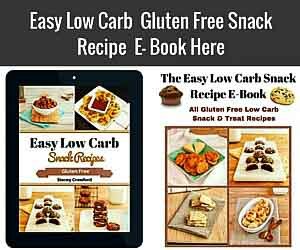 They, also have some fiber added to them by using flax meal to replace the bread crumbs and keep the carbs low. 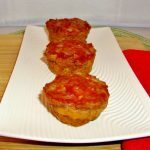 A colorful, hearty recipe that will remind you of a saucy Italian cheesy sausage meatloaf stuffed inside a bell pepper. Just as simple to make as meatloaf and cooked much faster in the Instant Pot®! Slice the tops off of the bell peppers and remove the center and seeds. Pierce small holes in the bottoms of the peppers with a fork so that the grease from the meat can escape. In a large mixing bowl combine ground sausage, egg, minced garlic, flax meal tomato paste, salt, pepper, Italian seasonings, and onion powder. Mix thoroughly. Stuff each bell pepper with meat mixture and fill to almost the top. Pour one cup of water into the inner pot of the Instant Pot. Put the steamer rack (trivet) into the pot and place stuffed bell peppers on the rack. Pour equal amounts of the tomato sauce over the tops of each bell pepper. Close and lock the lid and turn the Pressure Release Handle to Sealing. Select Pressure Cook (Manual) on High Pressure and set the timer for 15 Minutes. Once cooking time is done use the Natural Release method (do nothing & just let the pot sit for 5 minutes) for 5 minutes, and then carefully Quick Release all the remaining pressure. Once the pin drops the lid will unlock. Open the lid and top each bell pepper with a slice of cheese, close the lid and set to Warm for 2 minutes to melt the cheese. Using tongs to carefully remove the stuffed bell peppers, plate and serve. 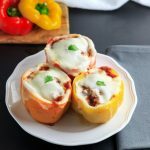 Keto Instant Pot Italian Stuffed Peppers are a filling, satisfying, savory, Italian inspired, low carb, gluten-free dish. Warm and smokey bell peppers filled with seasoned ground Italian sausage and spices topped with tomato sauce and bubbling melted cheese. In a large mixing bowl combine ground sausage, flax meal, egg, minced garlic, tomato paste, salt, pepper, Italian seasonings, and onion powder. Mix thoroughly. Love using my IPot for meals like this one. 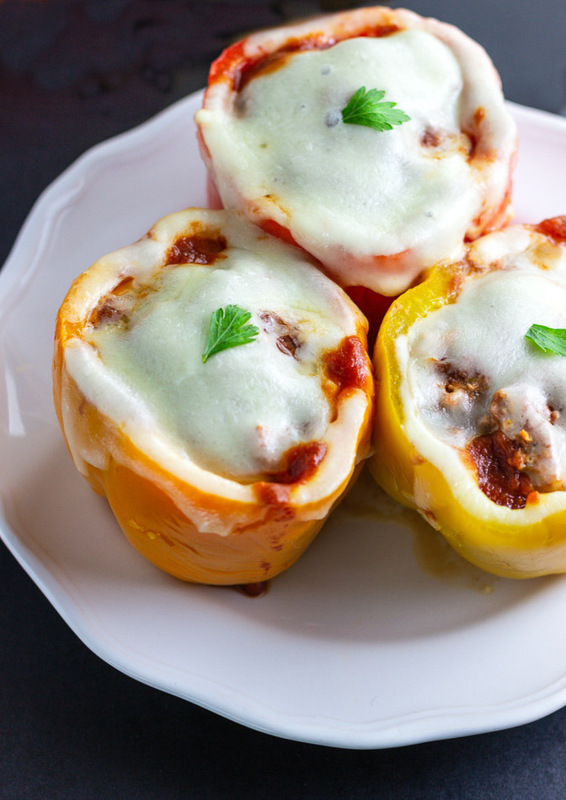 I’ve made stuffed peppers with beef or turkey but not with sausage..
Will need to try this one! Thanks so much! 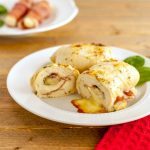 This is such an easy and delicious recipe perfect for busy weeknights! 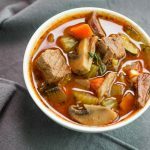 You always have the best comfort food recipes and this one is no exception, I love that it’s made in the Instant Pot as well! Awe, thank you so much, Kari! I’m waiting for you to teach a photography class. That would be epic! Always happy to fire up the IP for a great new recipe like this. Can’t wait! This looks so great. Roasted peppers are like the perfect vessel for all that goodness. 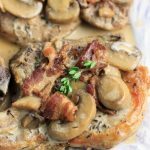 Adding this to my weeknight dinners! I love stuffed peppers, they remind me of my childhood as it’s a dish my grandma used to make. She used rice and meat stuffing but they work just as well with the lower-carb grain-free stuffing and cheese <3 Can't wait to try this recipe! these sound great! 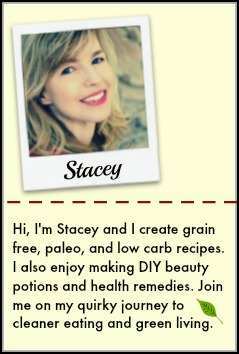 I have an instant pot, but have yet to “catch the bug”! I’d try these the old fashioned way for sure! 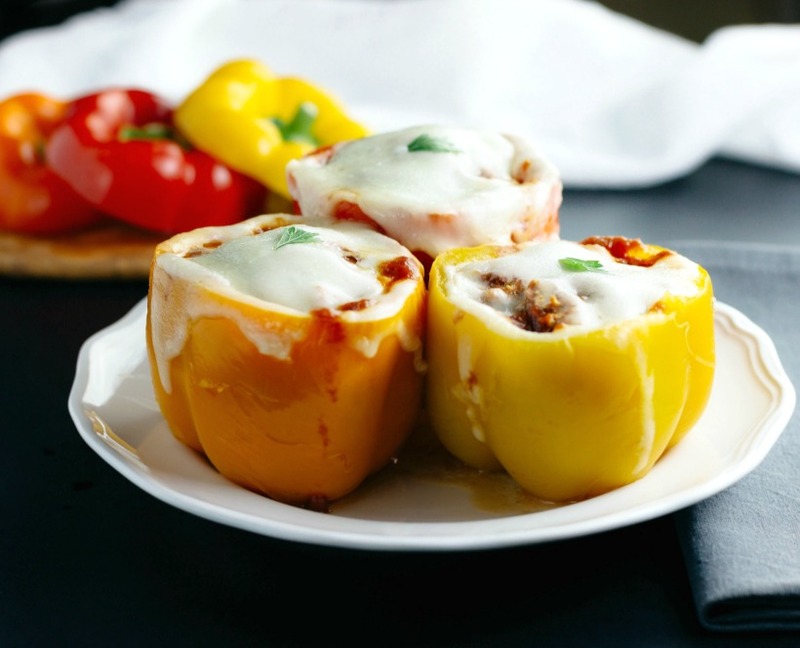 Stuffed peppers are the best, and this sound fantastic! Drooling at that melted cheese on top. I’ve never tried stuffed peppers before, but they always make me drool! 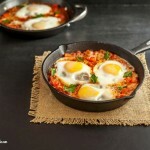 Uncomplicated and so yummy! 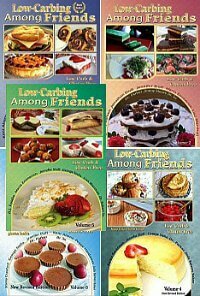 We loved these and plan to make them again. Thank you! I love the bright peppers! Need to try this! On my menu for next week! How FUN! Thank you! Totally simple, a completely flavorful, thank you! !